Crafted in the centuries-old tradition of Europe's finest chocolatiers, our rich, creamy truffles offer the ultimate in chocolate enjoyment. Each decadent center is carefully blended for supreme smoothness, then gently dusted with premium cocoa to create a soft, sophisticated finish. 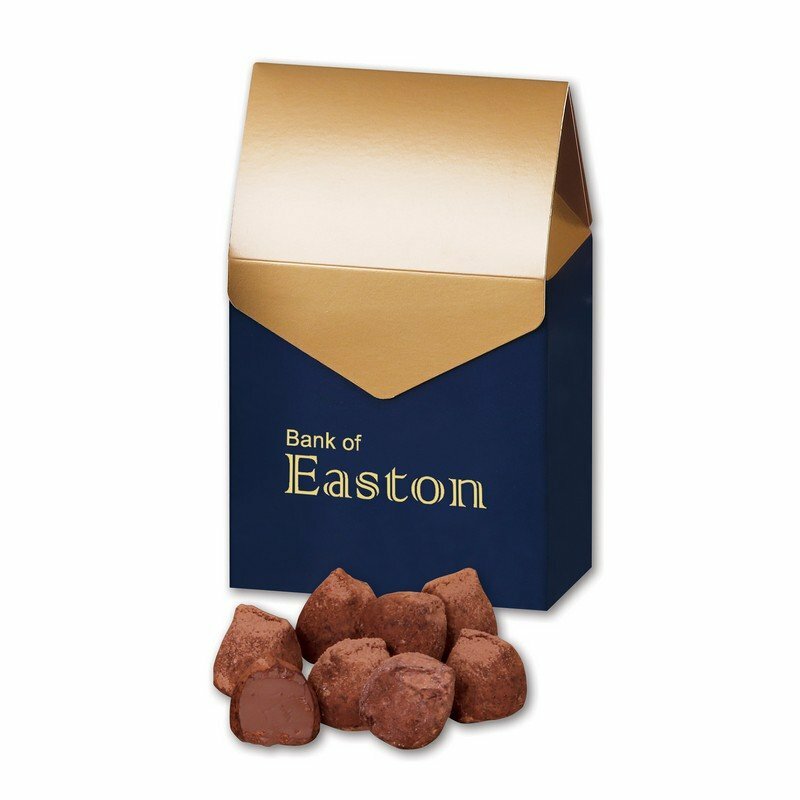 The navy blue box is complete with a golden top with a gold foil-stamped imprint and contains 11 truffles. Individual mailing cartons are available at an extra charge.